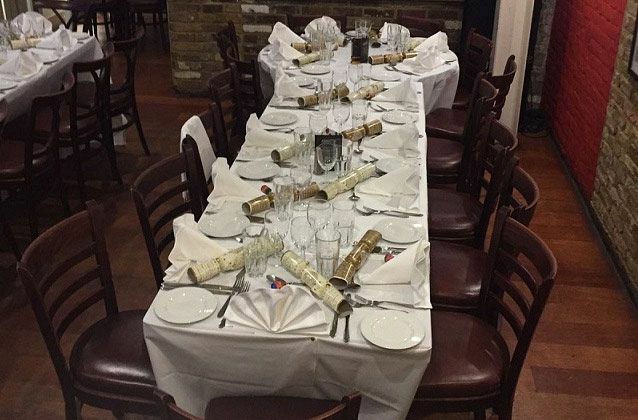 Have a wonderful company Christmas party this festive season in Brighton and experience zero stress at this fantastic location. 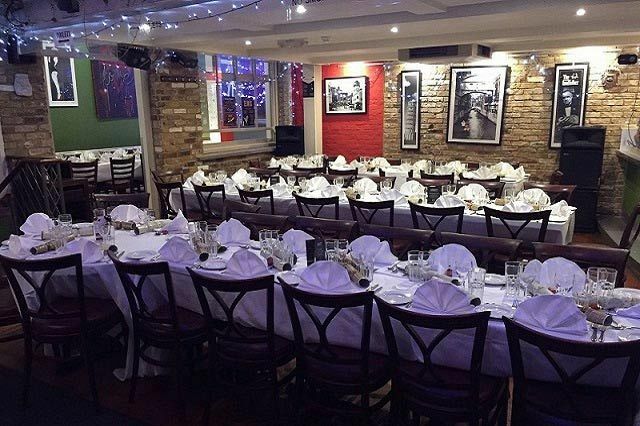 This Italian family run restaurant is one of the friendliest venues in the city, and is centrally situated, near to the Royal Pavilion and all the local hotels. The venue will be beautifully decorated to set the festive ambience, which will look amazing with sparkling Christmas lights and decorations – guests will be sure to get in mood for a fantastic Christmas celebration as soon as they step foot in the venue. Included in the package is a mouth-watering dinner and some top entertainment, so make sure you don’t forget your dancing shoes! The friendly staff will welcome you warmly on arrival and can either show you to the bar or table where you can order drinks and start the night the right way! It’s the perfect way to begin a smooth and relaxing evening. During the night, each guest will enjoy a sumptuous three-course meal from the delectable menu, that’s cooked fresh to order. The delicious menu has something for everyone include vegan, vegetarians and gluten free diets. There will be time to exchange Secret Santa gifts whilst you wait and revel in all the delights of the Christmas party. 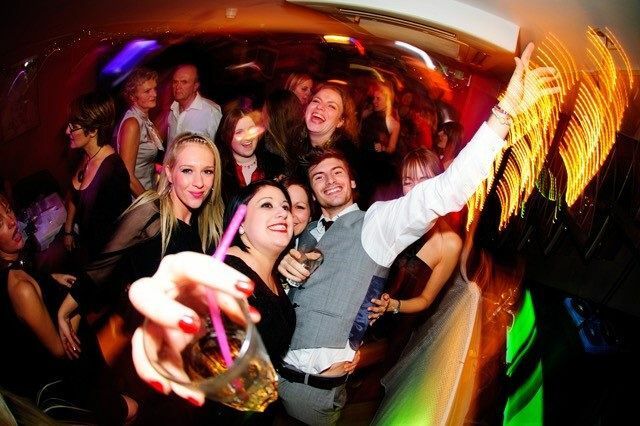 The Disco starts at 10.30pm, with the resident DJ on hand to play all your favourite tunes from the 80’s, 90’s and 00’s! Got a request? If so, then put a request in for your favourite song and get ready to dance! The bar stays open till 01.45 am and the crew are on hand to help you celebrate all that hard work you’ve put in for the company during the year. The venue is centrally located, with easy access to the Brighton station and is close to the city’s vibrant bars and clubs. There is parking available at nearby Churchill Square or Church Street NCP car parks. 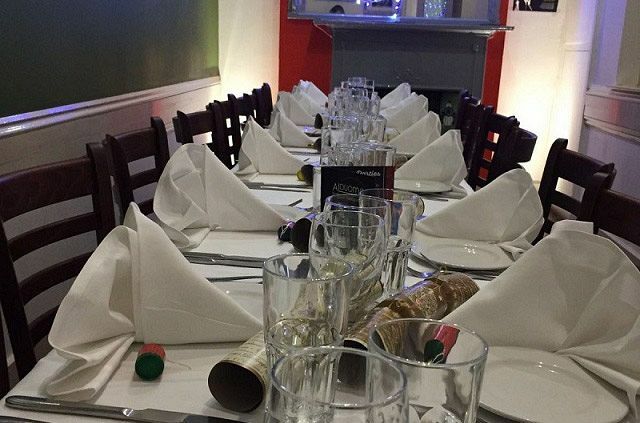 You can guarantee that you’ll have one of the best Christmas Parties in Brighton at this top venue, which everyone will be talking about long into the New Year - book your Christmas celebration today! Assorted selection Parma ham, Salami, Mortadella & slices of grilled aubergine, artichokes & mozzarella. Valtellina cured beef served with rocket, orange segments and ricotta cheese. Whitebait Deep fried and served with tartar sauce. Thinly sliced Parma ham served with melon slices. Wild salmon darn cooked with baby cherry tomatoes capers and olives. potatoes and vegetables of the season. Pasta sleeves with basil, parsley, pine kernels, garlic, tomato & cheese.